Often thought by the family to be the “literary one," one of Austen’s brothers James followed in his father’s footsteps attending Oxford university at the age of 14 in 1779. 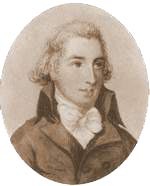 After his ordination in 1787, he and his brother Henry edited a university magazine called The Loiterer, which ran for sixty issues. 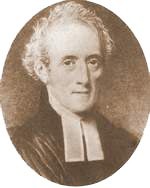 After his marriage, he became his father’s curate at Deane, and after his retirement, he took on the duties of Steventon as well. James was not Jane Austen’s favorite brother, though she did call him “good and clever.” He seems to have had a bit of melancholy about him, uncharacteristic of the other Austens. Perhaps it was turning from the excitement of Oxford to the retired life of a country Vicar. Perhaps it was seeing his literary pretensions lived out through his sister or the wealth acceded to by his younger brother. It is true that his life was not untouched by sorrow, as well. His first wife died when their daughter, Anna (1793-1872), was but two years old. 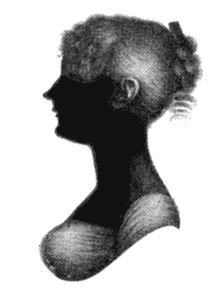 Anna was the first niece and a favorite of Jane Austen’s. She also had her father’s creative streak and worked on a a novel, Which is the Heroine, with the help of her aunt, until Jane Austen’s death, at which time Anna burned the work. Not much is known about young George Austen. Though he lived a relatively long life, characteristic of the Leigh side of the family, he spent the whole of it living with a farming family a few miles from Steventon. Some scholars believe he was mentally retarded, others that he was merely deaf, speculation rising from Jane Austen’s comment that she was fluent in “finger speaking”. Regardless of the cause, George was destined to play little part in the Austens' brothers and family daily lives. Henry was the sibling most influential in allowing Jane Austen to publish her works. Not only was his home available for her to stay in during her trips to London to work with her publisher, these visits also gave her an insight into society life that she would not otherwise have had, furnishing settings, events and characters for her novels to come. It was Henry who saw to the publication of Persuasion and Northanger Abbeyafter her death, and a Henry who wrote the brief, but loving biographical notice which prefaced these two novels and provided the world with their first glimpse into the life of this author. Cassandra was born in 1773 at a rectory in Steventon, Hampshire, to the Rev. George Austen (1731–1805), a rector, and his wife Cassandra, née Leigh (1739–1827). There were eight Austen children; as Cassandra and Jane were the only girls they maintained an especially close relationship throughout their lives. Over one hundred letters addressed to Cassandra from Jane have survived. These letters have helped historians to construct details about the life of Jane Austen. The sisters went to Mrs. Cawley, their uncle's sister, to be educated in 1783. Cawley lived initially in Oxford, and later in Southampton, and, when an epidemic broke out in Southampton, the Austen sisters returned to Steventon. Between 1785 and 1786, the sisters attended the Reading Ladies boarding school in the Abbey gatehouse in Reading, Berkshire. Jane was originally not to go, as she was considered to be too young for schooling, but ended up going along with Cassandra. In their mother's words, "if Cassandra's head had been going to be cut off, Jane would have hers cut off too." George Austen was not wealthy and had supplemented his income as a country parson "by taking in pupils and tutoring them for Oxford." After graduating from Oxford University, in 1794, one former pupil, Thomas Fowle, became engaged to Cassandra Austen. Fowle needed money to marry and went to the Caribbean with a military expedition as chaplain to his cousin, General Lord Craven. There, Fowle died of yellow fever in 1797. Cassandra Austen inherited £1000 from him, which gave her a little financial independence but, like her sister, she never married. After the death of her father in 1805, Austen, her sister, and their mother moved to Southampton, where they lived with their brother Francis Austen (family name 'Frank' ) and his family for five years. They moved again in 1809 to a cottage in the village of Chawton on their brother Edward's estate. Jane died in 1817 and Cassandra is reported to have destroyed two thirds of Jane's letters in 1843 - a couple of years before her own death. She passed the remainder on to relations as mementoes. Austen continued living at Chawton, at first with her mother and a family friend, Martha Lloyd. Her mother died in 1827 and Martha left to marry her brother Frank in 1828. Cassandra lived on alone at the cottage but continued to visit friends and relations. On one such visit to her brother Frank in March 1845, she suffered a stroke. Frank, who was still a serving Admiral at the age of 71, was preparing to depart to take command of the Royal Navy's North American Station and was obliged to leave his stricken sister at his home, (Portchester House near Portsmouth) in the care of another brother, Henry. She died there a few days later on 22 March 1845, aged 72. Her body was returned to her home village of Chawton for burial at St. Nicholas' Church alongside her mother. 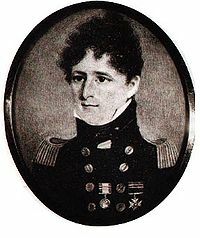 Francis Austen had, perhaps, the most glorious career of the Austen brothers, serving in the Navy from the age of 12 and eventually achieving Knighthood as Sir Francis Austen and rising to the position of Admiral of the Fleet. Considered by Admiral Nelson to be “an excellent young man,” he narrowly missed involvement in the battle of Trafalgar due to his temporary detachment as captain of a captured French Ship, the Canopus. According to some, Francis’d earlier promotions were due to the patronage of Warren Hastings, a friend of the family and supposed father of his cousin, Eliza de Feuillide. His ports of call ranged to the far corner of the British Empire at the time, spending time in the Far East from age 14 to 18 and later the Indies. 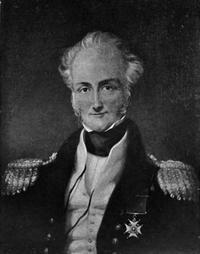 Francis Austen in old age, when he was known as Admiral of the Fleet Sir Francis Austen. It was Charles’s gift of Topaz Crosses to his sisters which inspired a similar scene in Mansfield Park. Charles Austen’s ship, Endymion captured many prizes during the war with France, leaving him a comfortable settlement. He died, at age 75, still on Active Duty, during a naval river-war in Burma.